Transcribed to digital format in March 2011. A jovial, informally-made recording found in an Edison blank cylinder box. 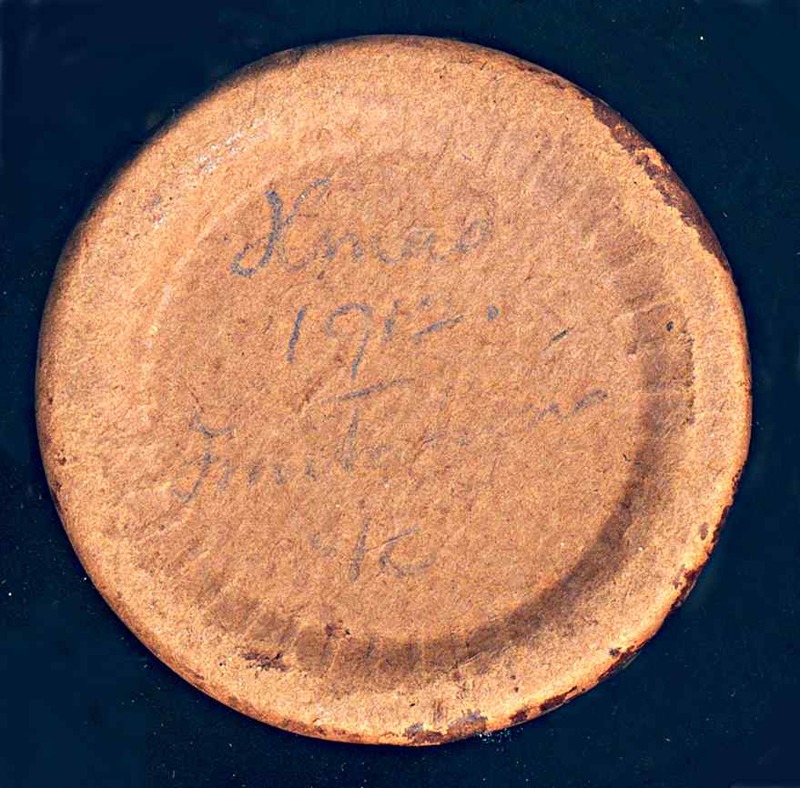 Written on the underside of the box is “Xmas 1912” and other illegible writing which might read “First Impressions”. A kitten, ducks and a donkey are impersonated by at least two men, a woman and a child who is coaxed into participating in the recording. Towards the end, a fine baritone voice sings a verse of an as yet unidentified folk song followed by some bird-whistling. At one point, a voice announces a rooster, which identifies the person as American, Canadian or Australasian as the English use the term cockerel. At nearly 3 min. duration, this cylinder was recorded at around 80 rpm, half the regular playback speed of commercially produced wax cylinders from 1901. 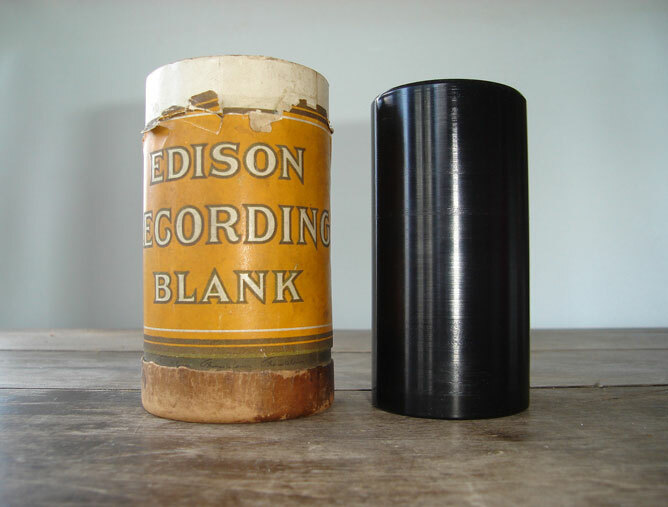 The wax cylinder is a black Edison recording blank, marked as patented June 4th 1907. There is no way of verifying that this cylinder belongs in the marked box, although there is a festive atmosphere evident in the recording. This cylinder came from a collection of home recordings made on a graphophone, which included many language-learning cylinders from circa 1900.